The “Big Lap” around our great country, Australia is no longer being left until people are retired and towing caravans. 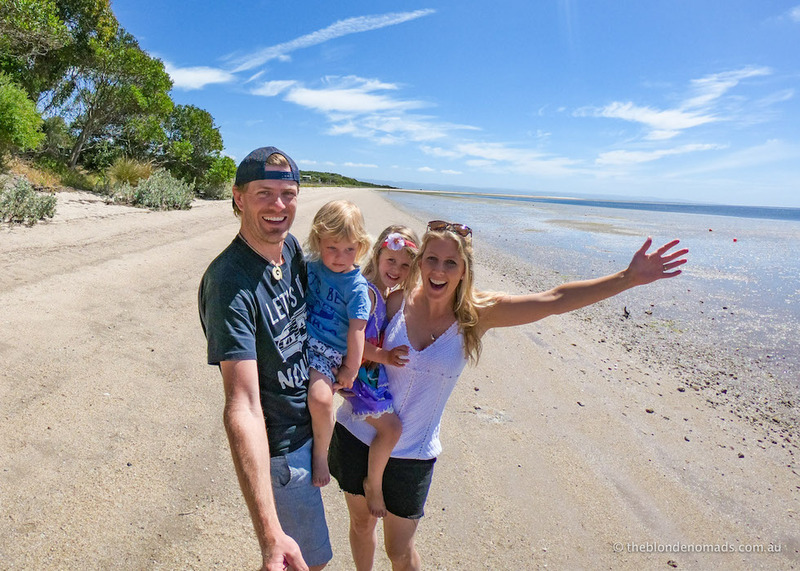 Yes, Van Parks are still jam-packed with our story-telling Grey Nomads but what is becoming more common are young couples with or without children, taking a year off from their lives to four-wheel drive and explore very remote sections of Australia. 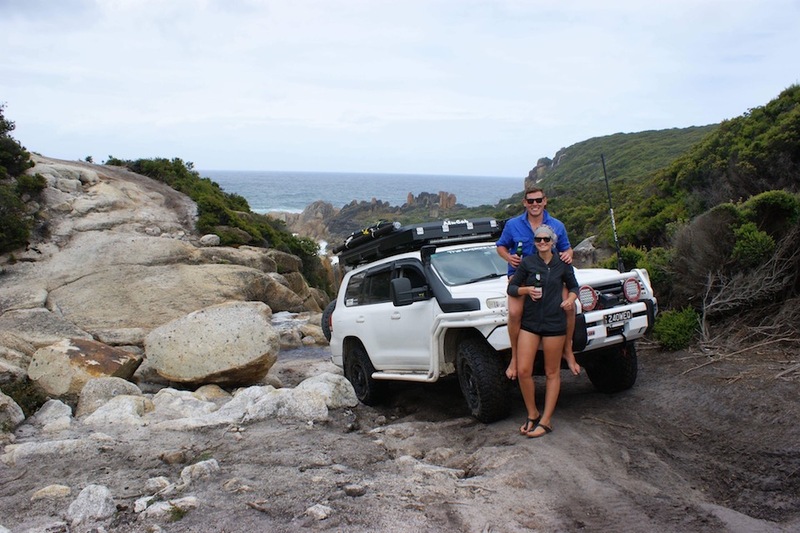 This week we feature, young couple Alice and Reiner ‘Gone Bush AU’ who are just about to complete their trip of a lifetime living minimally for 13mths in their Triton and Rooftop Tent. We began following each other on Instagram in 2016 and by chance, crossed paths on a quiet Tasmania road in February 2017. They recognised our truck, and we instantly recognised theirs, and we all jumped out to swap travel stories and snap a quick photo. 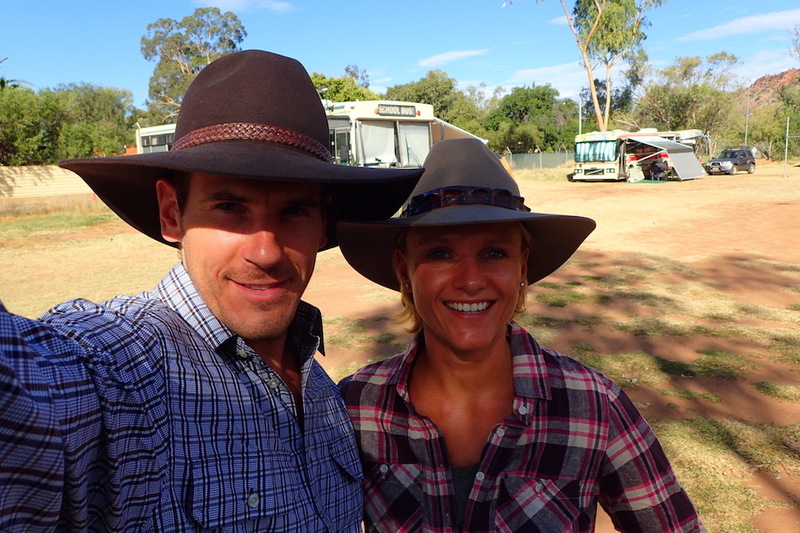 They are one very interesting ‘adventure seeking’ couple! Enjoy their story. Before our Big Lap around Australia, we lived in Lane Cove, but are going to relocate to Adelaide after this trip. At the time of writing this (mid-July), we are sitting in front of a fire place on Beltana Station in the Flinders Ranges, planning the next few days of our trip. Unfortunately, it is now slowly coming to an end after 13 months on the road. But don’t worry, since we are moving to Adelaide, we will have plenty of places to explore in our new backyard. Mitsubishi Triton MN, 2014. 2” Ultimate Suspension with 550kg leafs, 3” exhaust and Steinbauer Chip. Ironman bull bar, snorkel and bash plate. Rock sliders. We took off the standard tub and replaced it with an aluminium tray for an 1800×1200 alloy canopy with custom drawers. 130Ah AMG battery with Ctek250S. 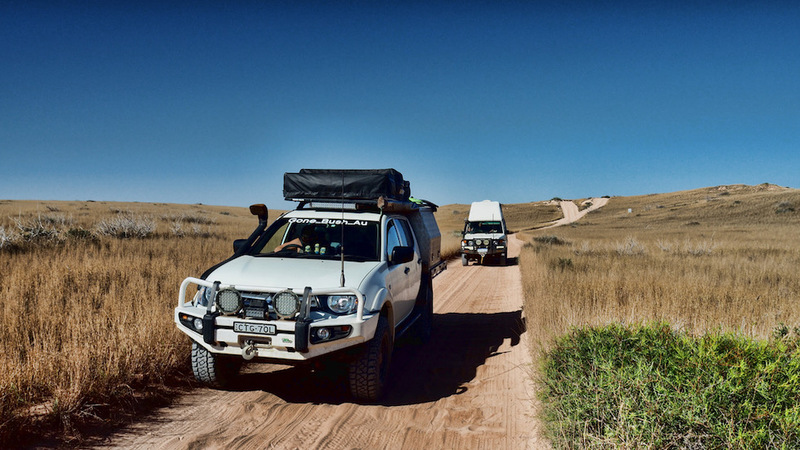 4WDSupacentre stuff: Winch, Spotties, Lightbar, Recovery gear, 2.5m awning, 1.4m awning, Rooftop tent, compressor hard wired. 2x20L Jerry cans in there as well as a 120w solar panel and six drawer wardrobe also. Rear bench converted to fit 65CFX Waeco Fridge and 3x20L Water Jerry cans. 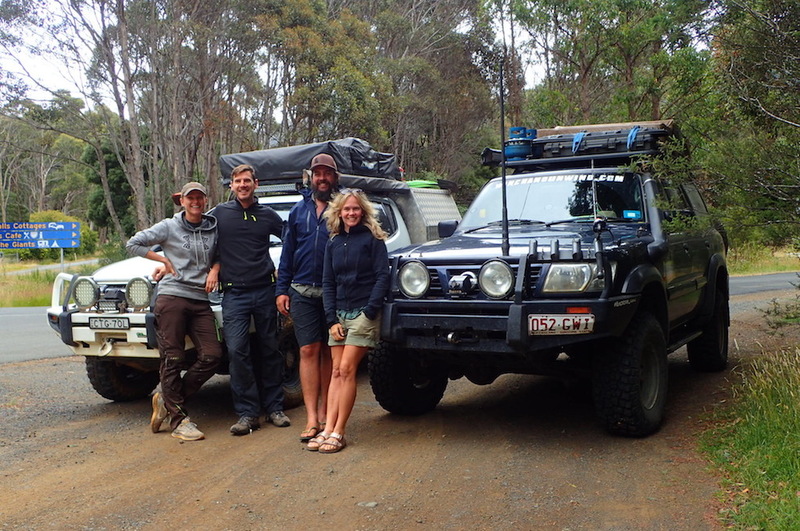 We started around 2009 with camping, but 2014 was the first 4WD weekend in Turon Gates. Honda CRV for camping and light off-road. 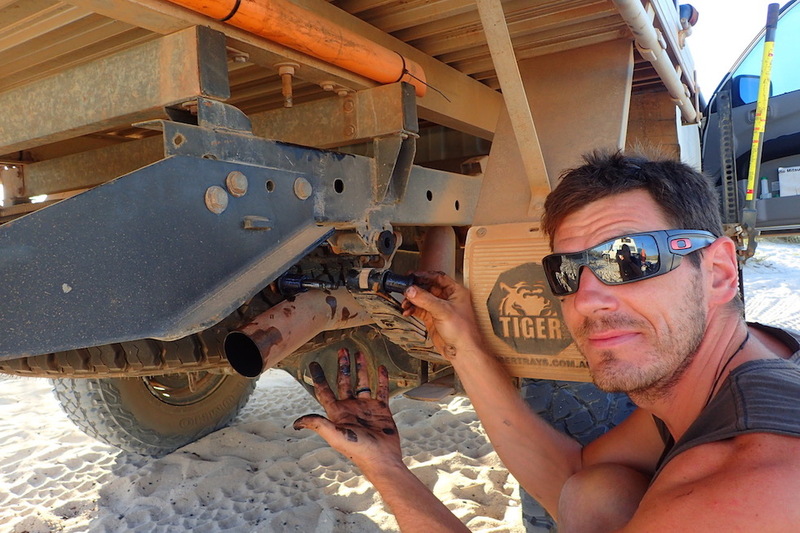 The Triton started the tough stuff though. Reading 4WD Action Magazines and going away with other four-wheel drive enthusiasts. I would say Monkey Gum in Yalwal as it is very technical, but the wife disagrees. 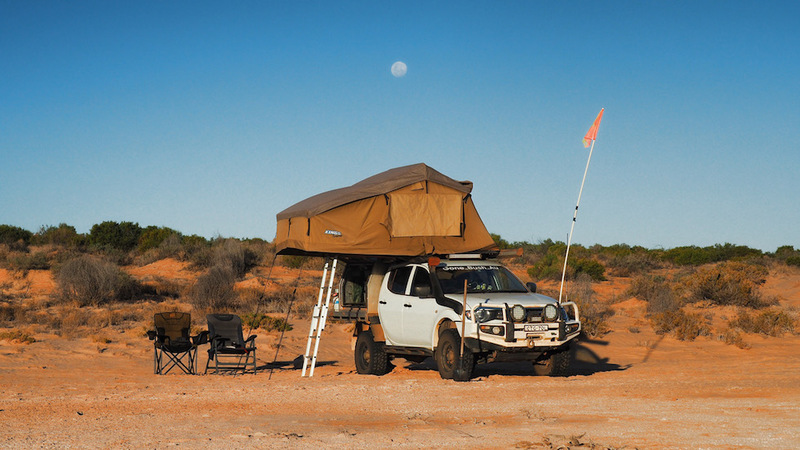 She loved the Simpson Desert with the wildlife and endless night skies. If we’d have to agree on one, it would be Cape Arnhem. We recon we had a ghost encounter at Mt Hewitt Hut in the High Country. We both woke up the next morning saying someone was around the car, but the place was deserted, and we are certain it wasn’t an animal. Sure enough, that day we read about the Stockman that was killed not far from where the hut is still standing. Fondest memory of exploring Australian tracks? 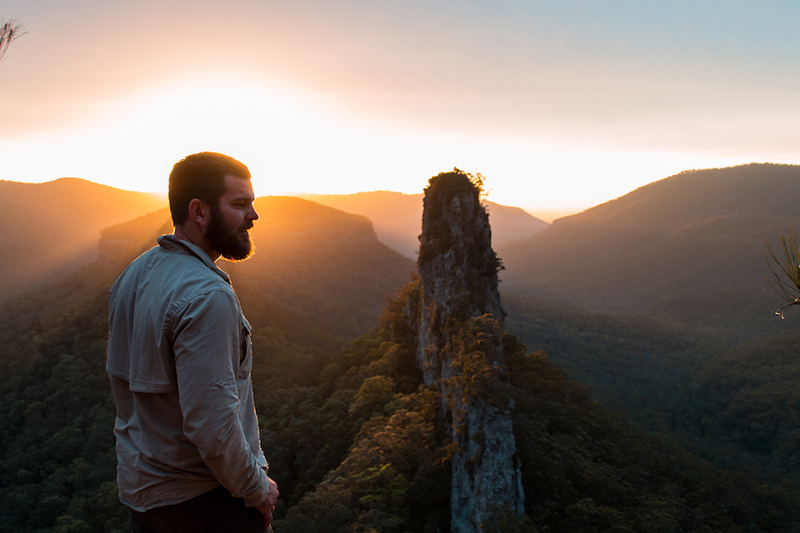 It’s those first impressions that you get when you arrive at a new area, the first few km’s on the Gibb River Road, or turning into the Bloomfield Track to get up to Cape York, you just never know what is around the corner. The landscape can change within a few meters, and sometimes you are just left totally speechless. The reason why we own a 4WD is so that we can get to places not too many other people have seen. We just loved meeting all the like minded people, sharing our favourite places and tracks and exploring this magnificent country. We sometimes forget how lucky we are here in Australia. We are just hoping that many of the places we have been able to visit will still be there when our kids and grandkids grow up. 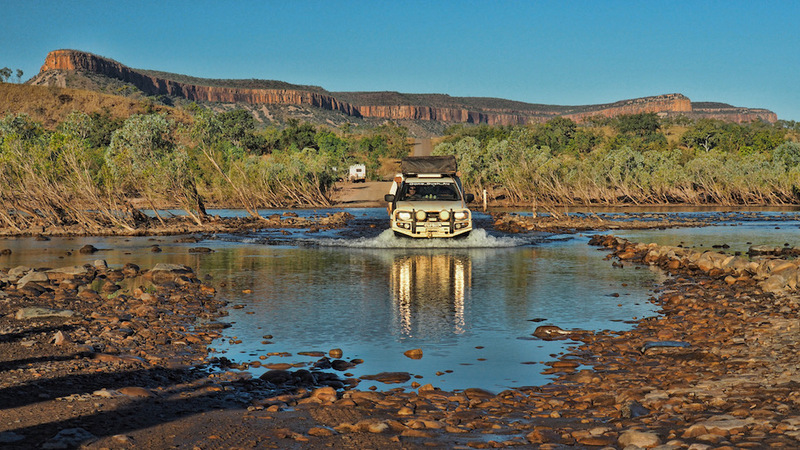 Australian Tracks are on your bucket list? Advice to new 4WD enthusiasts? Don’t wait until you have a fully modified car with triple lightbar and 4’’ lift. Just grab your swag and start small. Sometimes less is more! And don’t wait too long otherwise all the iconic places will have tarmac and will be flogged by other travellers too. Remote bush setting with maybe a hot spring/river/ocean to dip into. No crowds or generators! Name one product you wouldn’t leave home without. Connect with Alice and Reiner and follow their ‘Gone Bush AU’ Adventures. Would you like to share your story? Leave us a comment below and we will be in touch.